Discussion in 'Pin Comparison' started by lynn99, Feb 13, 2018. I got this at LIAA, may have been a board pull, may have been a trade, I dont recall.. Unfortunately I believe that it is a fake. 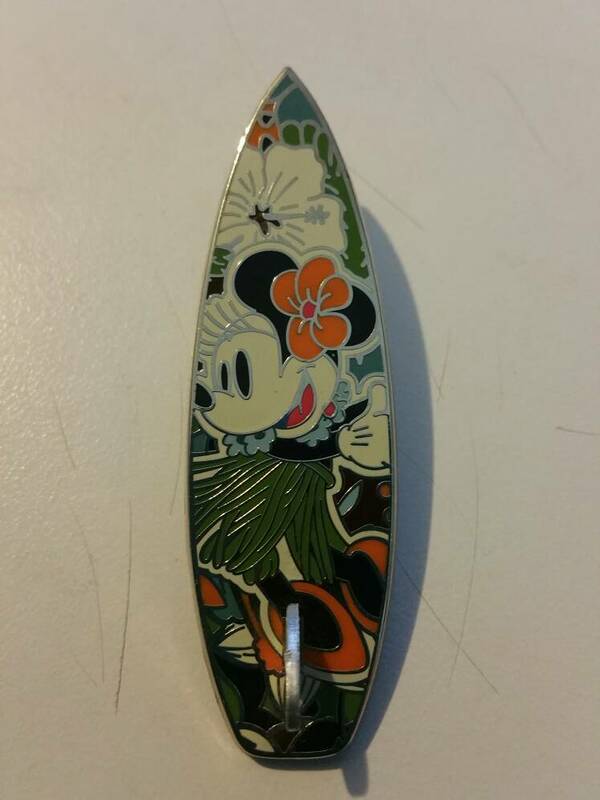 Look at the Mickey waffle pattern and how is ends before the edge of the pin all the way around. On an official pin that waffle pattern is stamped or cast using a plate that is larger than the pin resulting in the pattern going off the edge very cleanly. I believe when a fake is made because they don't have access to the original tool to make the back they make a mold from a real pin and use that to create the back, the problem with that is anything you make from a mold of an original will always be slightly smaller than the original. The boxes around the Disney copyright and the FAC number are also rough. that is a very good observation, I wouldnt have noticed that. And now....I go to check all my pins!